16 oz (500 ml) drink capacity, Weighs 5 oz. 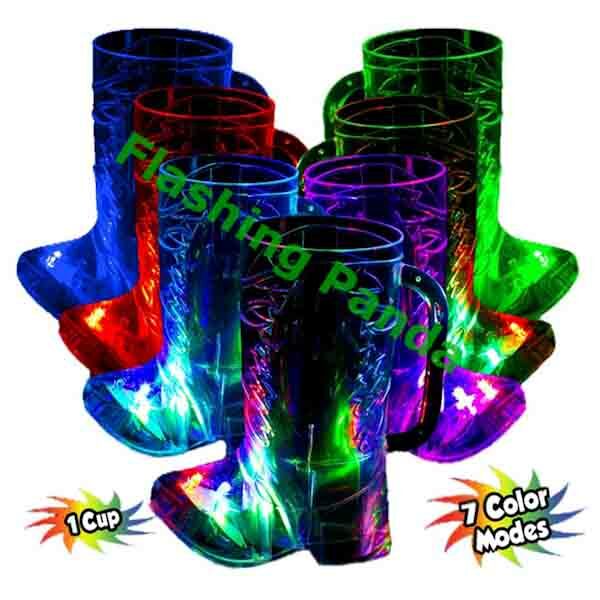 We bring you our 16 oz LED Light-Up Flashing Boot Beer Mug, the ultimate light-up party and bar favor! 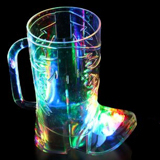 Imagine holding a luminous boot beer mug in your hand, where the whole mug, and the beverage inside, lights up with three colorful lights! 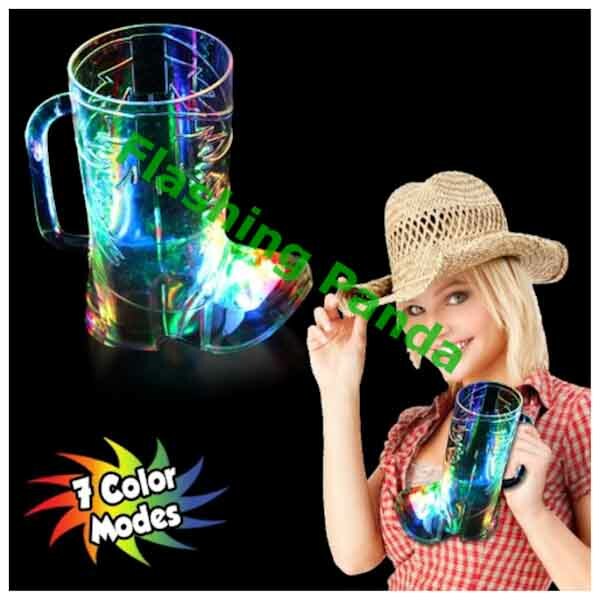 This 16 ounce light up multi color boot shape cup will help you celebrate any event cowboy style, whether you're hosting a hoedown, hitting the country western bars, or having a rodeo themed birthday party! 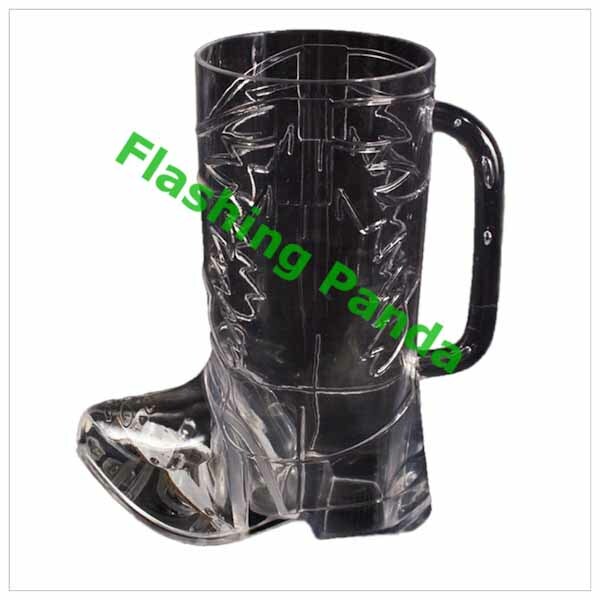 This light-up 16 ounce boot mug is made of a high quality, safe, clear acrylic, with replaceable batteries. 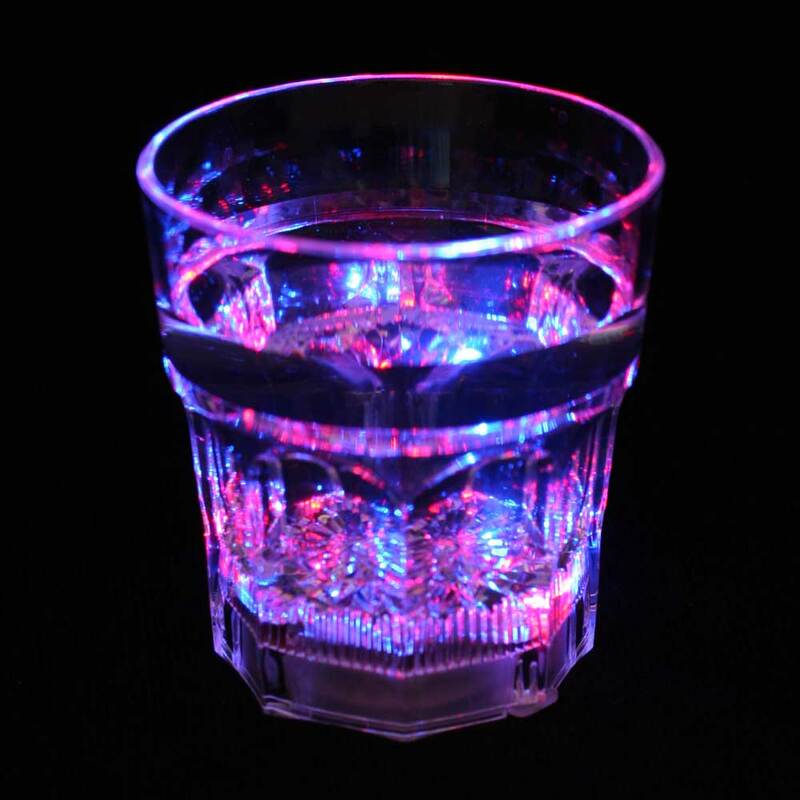 This super-bright LED Drink-Ware Flashing Beer Mug is sure to liven up any party or event! These will be the talk of the party and a must for every party goer! Blinky lights help identify your drink at the party or at the bar, as well as provide a valuable safety beacon at an outdoor event! Get one for everyone in your group! 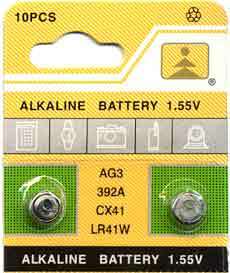 Easy to replace button style batteries are included and pre-installed, and will make this cup last for a long long time.